Dr. Jane Conlin graduated from the New York Medical College. She did her internship at the Loma Linda University and completed his residency program at the Boston University Medical Center. She is specialized in Radiology and board certified in Diagnostic Radiology. 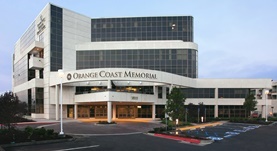 Dr. Conlin has been in practice for more than 11 years and is affiliated with the Orange Coast Medical Center. During her career, she has also contributed to 2 publications of clinical interest. Dr. Jane Conlin has contributed to 2 publications. Unilateral mass-like pharyngeal and laryngeal angioedema. Conlin, J.L., Mian, A.Z., Sakai, O.; Emerg Radiol. 2011 Oct.
Radiographically occult and subtle fractures: a pictorial review. Jarraya, M.,Hayashi, D.,Roemer, F. W.,Crema, M. D.,Diaz, L.,Conlin, J.,Marra, M. D.,Jomaah, N.,Guermazi, A.; Radiol Res Pract. 2013.